One personal finance area that can be hard to budget for is personal care. This category can greatly vary each month depending on personal needs. One of these areas is haircuts. Many of us know getting a haircut at the salon can be costly. A simple haircut and blowout alone can eat away at your budget. Add in highlights and a new style, you can easily spend a small fortune. Prior to moving to Seattle, I was a regular at my local beauty school. Going to beauty school is one of the best ways on how to save money on haircuts! Appointments are generally required as students have specific hours they are in class or on the salon floor, so call first. Be prepared to spend almost double the time you would at a regular salon as students work at different paces. All consultations and recommendations by your student have to be approved first by the student's instructor. During the process, the instructor will work his or her way around the salon to monitor students and clients. For a haircut, highlights and blowout, I would spend about 75% LESS than I would at a regular salon. My hair always looked great and no one could tell I had gotten my haircut at a beauty school. If you just need your split ends or your bangs cut, walk into a lower end hair salon. For a quick trim and tip, I can generally be out the door for under $20. This is a great option if you just need maintenance. My hairdresser sends out a mass text message once a month about her monthly specials to all of her clients. This usually includes a free haircut for a referral from one of her current clients. She will also message specials that include a discount on a particular service, like a free eyebrow wax with hair cut. There are different levels of hairdressers at my salon. A senior hairdresser's rates can be significantly higher than a junior hairdresser. When making a hair appointment at a new salon, be sure to ask about your hairdresser's experience or classification. The pricing difference can be pretty significant! There are a number of hair salons that offer discounted promotions and sales through these websites. I like to see what coupons are available and then read salon reviews to make sure it's a good fit. Be sure to read the fine print; sometimes there are rules and limitations with these coupons. A blowout can definitely make the haircut and make you feel amazing afterwards. But if you have plans to go to the gym afterwards or know you need to shower later, skip the blowout and save money. I have done this a couple times and saved about $30 each visit. 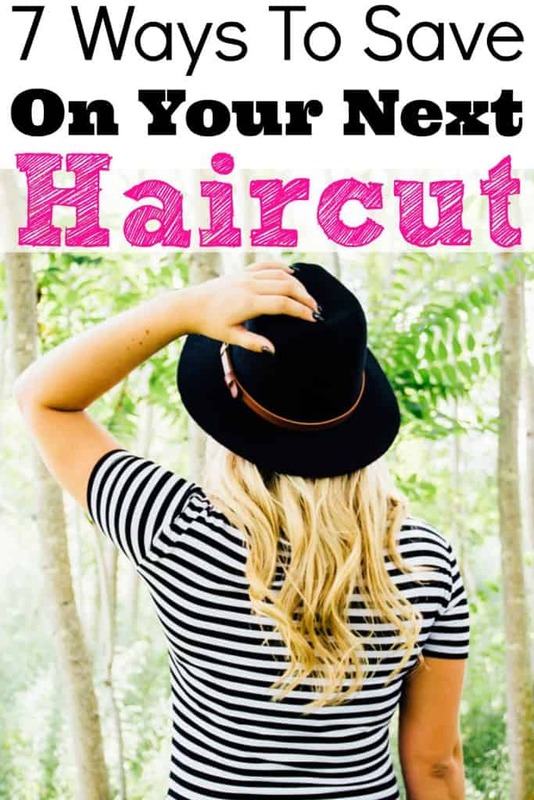 This is a huge money saving tip and a great way to have healthier hair! Embrace your natural hair color and be prepared to save hundreds of dollars a year. If you can't fully commit, try going natural for a season or six months. You might end up liking your natural hair color more than you think and end up saving a lot of money in the process. How often do you get your haircut? Do you spend too much money at the salon? These are great tips! Thanks for sharing!! I used to spend over $100 every few months to get my hair highlighted. Now, I color it almost black that way I can do it myself and spend $3 haha. I get my haircut about once a year at Great Clips for $15. I have long, straight hair so luckily it doesn’t require much maintenance!! Highlights are such a commitment, righ?! I actually had my hair dyed back to my natural color because I didn’t want to deal with maintaining highlights. I always feel like a boss when I walk out of Great Clips and have saved so much money!